Il pleut à boire debout! 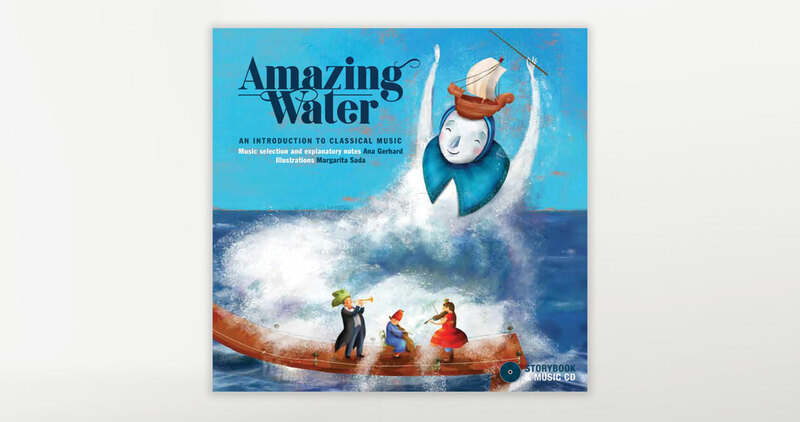 The works of Vivaldi, Beethoven, Debussy, and others are introduced to children by demonstrating how water—from the sea, rivers, fountains, rainfall and so forth—has inspired the composers. 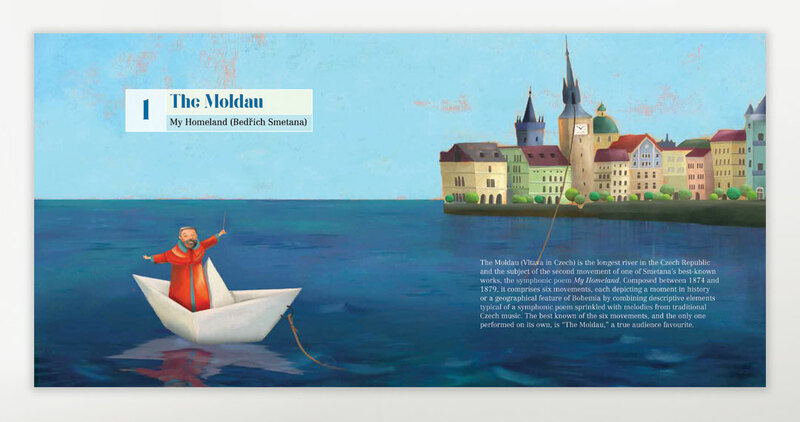 An original and exciting way for younger listeners to discover awe-inspiring classical music, this book pairs three centuries of music history with stunning and evocative illustrations. 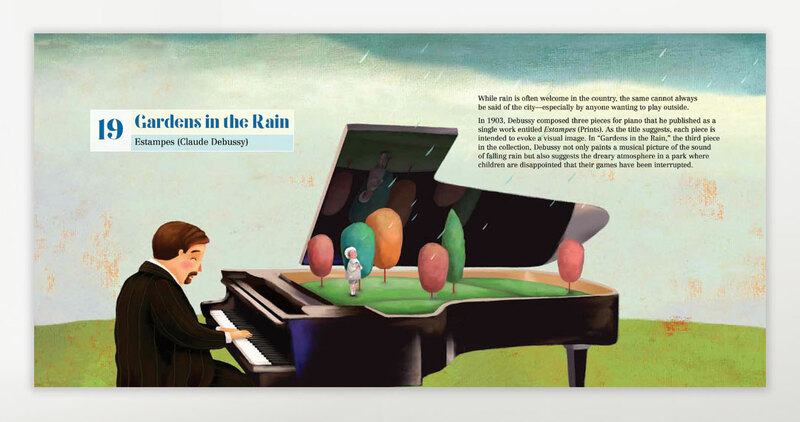 A glossary of musical terms and a short biography of each composer are included along with a CD featuring 20 excerpts from various recordings performed by world-class luminaries, including the Royal Philharmonic Orchestra, the London Symphony Orchestra and the Lyon National Orchestra. Mexico-based author Ana Gerhard studied as a concert pianist at the Mexican National Conservatory. She has taught piano for several years and has hosted numerous radio programs dedicated to the promotion of classical music. 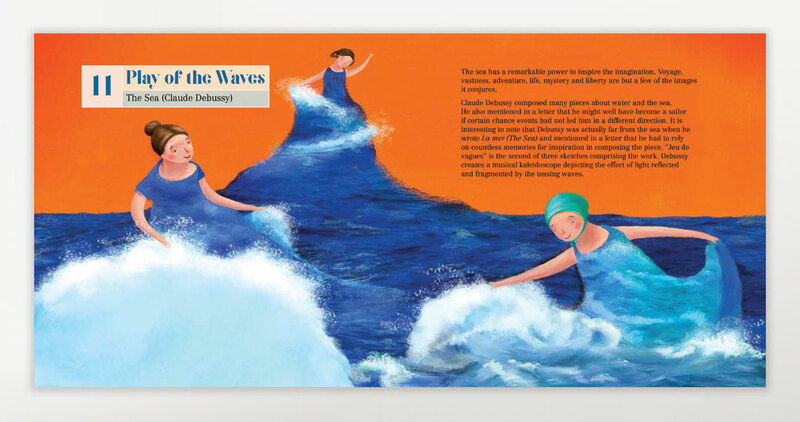 Margarita Sada is a graphic designer and illustrator of several books including Guacamole and Oloyou. She lives in Mexico City.